The D.R. Joseph Seal-Cut reverses the process commonly known as slit-seal. Instead of slitting the material and then sealing it, the material is first preheated, then sealed and then split. This results in a clean seal, even on materials up to 6 mil. The system uses a significantly lower sealing temperature than the hot knife systems. For instance, a hot knife is usually set between 700°F and 900°F. The Seal-Cut is set at about half of that temperature. The benefit of using a lower seal temperature is that the polymer is not crystallized which makes the seal brittle and easier to fail. The result is a high quality seal that has excellent strength along the seal edges in both the transverse and machine directions. 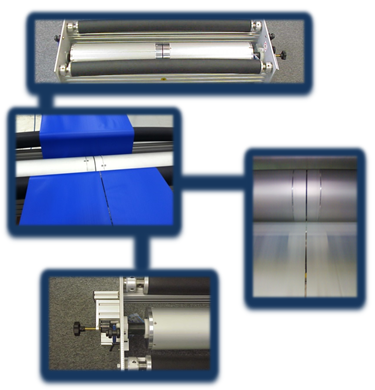 The Seal-Cut provides quality seals on a large array of different film blends. If you are interested in testing the results on your own film blend, contact us about sending in a test roll to be sealed at our in-house lab. If you are interested in learning more, follow the link below. 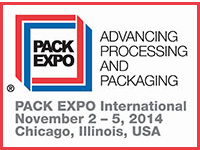 Additionally, DRJ will be exhibiting the Seal-Cut at the 2014 Pack Expo in November. Person and discuss your application.